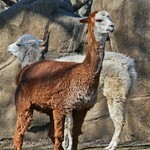 Alpacas are long-necked cousins of llamas, equipped with thick wool. Weighing as much as 225 pounds and standing as tall as three feet at the withers, males are known as "machos." Females are called "hembras." 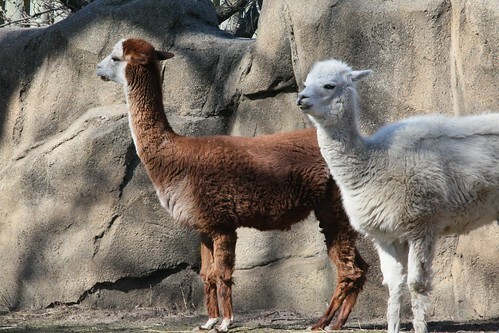 First domesticated in South America, alpacas are now domesticated around the world. Domestic environments, such as grasslands, fields and other pastures provided by keepers. 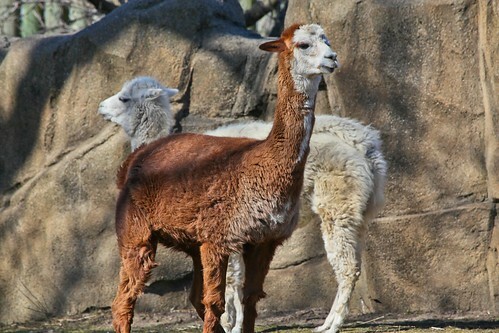 Herders lead alpacas to graze on grasses and other plants. The wool harvested from alpacas is prized for its warming density. 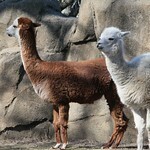 Alpacas live in domestic groupings ranging from pairs to herds.